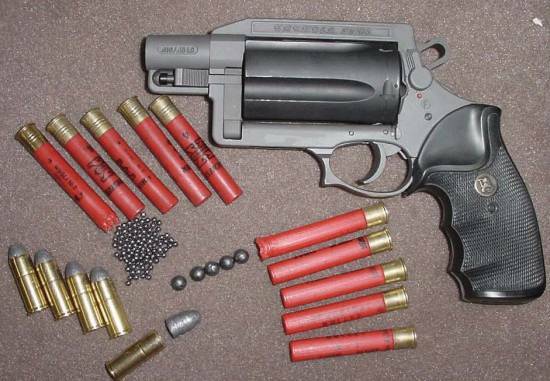 .45 Long Colt and .410-bore shotshells, 5 shot capacity, single & double action. Two Inch barrel, 9 Inches over all, weighs 48 oz.. Durable phosphate finish with fixed combat sights and Pachmayr grips.